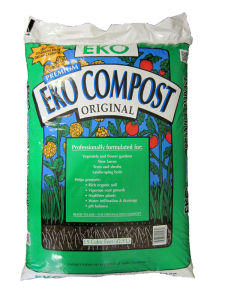 The original EKO Compost was developed in 1977 for use in vegetable and flower gardens, new lawns, landscaping beds, and the planting of trees and shrubs. 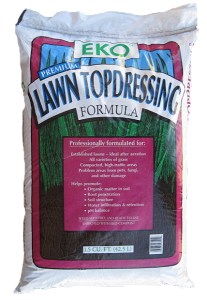 EKO Products help promote rich organic soil, vigorous root growth, water infiltration and drainage, and PH balance. 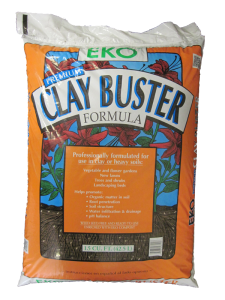 EKO improves the soil’s physical, chemical and biological health. 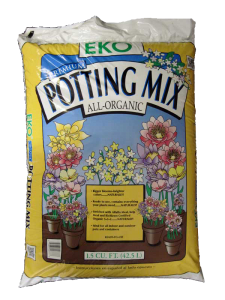 EKO is rich in trace minerals, organic matter, and billions of beneficial microbes that will provide greener grass, more vibrant color of flowering plants, better tasting and larger vegetables, and overall healthier plants. 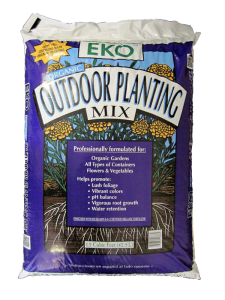 EKO products are used by professional growers for their growing needs to produce the best plants available. 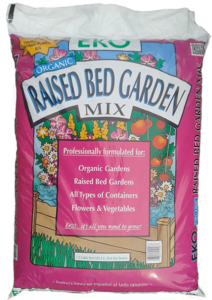 EKO Raised Bed Mix NEW PRODUCT!!! EKO products are used by professional growers, nurseries, botanic gardens, and universities. Please try all of the EKO family of products. Click on any bag to read more.